The beach cottage is one of the most interesting and beautiful design concepts to follow. If you are living in a beach cottage or wish to give a sunny coastal look to your home décor, then you must follow the home décor tricks that we are bringing to you. You can incorporate a few of them and mix them with another spacious style of interior decoration to get the best appeal. You can also use them all together to get a very authentic beach style look in your house. So what are you waiting for? Let’s get started. The Shabby-Chic Living Room- this kind of décor is being loved around the globe for its unique appeal. The shabby chic style is a contrast to its own self. However, it is very simple and quite appealing at the same time. You can get floral designs in the house, introduce some lacy curtains and go for very feminine touches in the room. You don’t have to decorate it all in pink color or with red roses. Just keep it simple, sophisticated and feminine. It should have a touch to sensitivity to look perfect. This makes the room quite calming and soothing to stay in. Monogrammed pillows and white sheer curtains can add to the amazing looks of the room within moments. The Patterned Floor Kitchen- in order to give a totally refreshed feeling to your living room, you must start with a patterned floor. The most popular choice is the checkered floor that has dual toned tiles (one each in light and dark colors). Most people chose two differing shades of brown here. The darker shade is usually a dull brick reddish-brown and the other is a pale khaki color that makes your kitchen come to life. The colors have a very warming effect and they are perfect for your beach cottage designs. You can even go for other patterns of your choice. We would suggest you to stay with bigger and bolder geometric patterns to get the best look. Beach Colored Bedroom- in order to give your bedroom the perfect beach look, it is best that you stick to blue and white. The combination of these two colors would definitely be great for your bedroom. Remember, you have to go for a blue accent over the white backdrop. 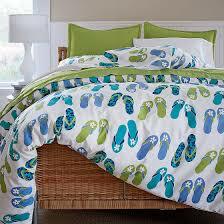 Use this theme extensively in your bed sheets, followed by the curtains and more. This is one of the best known themes for getting elegant beach style décor. Mismatched Nautical Interiors- In order to get the best results with your interior decoration ideas for a beach cottage, it would be great if you could stick to the mismatched nautical theme. All the items in the house would be united by a common color, theme or décor idea but they would themselves be standalone pieces. This also means that you don’t have to buy sets for your house. Instead, you have to focus on common themes in different furniture items and set them all together to get a perfect look. Have you ever thought about giving a brand new look to your beach house? Sure, everyone talks about whites and pale colors when it comes to beach house decoration. However, this doesn’t mean that you only have to stick to the same color scheme. The problem with white is that too much of this color can make your house look really dull. In fact, white is often known to be a color that promotes dullness or emptiness. For the cheerful souls out there, this is definitely not a great choice. What do you do in this case? Nothing, simply follow as bright a beach house décor theme as your own personality and you would be getting some really great décors to boast about. The first thing that you need to consider here is the wall paint. You don’t have to choose white here. Simply chose a pastel shade that is lighter in color. The intensity of the color is dependent largely on the hue that you wish to see yourself. Therefore, decide the intensity but stick to the pastel shades. Any shades that are darker than this would definitely not be giving the best look to your house. The beaches are large open spaces near the sea that give you a calm feel. Your beach house, therefore, should be as spacious as possible and the color of your walls would be one of the most important factors to consider in this case. If you think that using white is the right choice, then we suggest that you accent your walls along the lines with a very light shade of cucumber green. Keep it as light as possible and keep the lines crisp. This would make the room look greener in sunlight. The second thing that you need to think about is also the most important. We are talking about the furniture that should be used in your beach style house. The furniture should definitely be made of wicker. It is light, trendy and is also available in many different colors because of which you can get a great look for your house, specially the living room. Chose very simple and straight edges wicker furniture. The color should be a dark chocolate brown so that you can get a great contrast for your wall colors. You can chose another solid and dark color as well. Now, you must adopt a few whites and then chose thickly padded sofas. If you chose a whiter and plainer upholstered and padded sofa that is made with very dark brown colored wicker, your room would already look like heaven. Bring a splash of color to your house and use yellow, red and ocean blue colored cushion, lamp shades etc. in the room. Make sure that the cushions are specially bright and colorful. Don’t use matching cushions and follow the nautical theme here. Orange is also a great color. Team this up with a neutral colored wicker rounded table and you are ready with one of the most interesting and beautiful beach house designs ever. How to decorate your beach house on a budget with Fayetteville NC furniture stores? Follow a one-color color scheme- the first step to save money and to get a very authentic beach look is to follow a one-color color scheme. This color should essentially be white. The walls must be painted in all whites. The shade of white is dependent on your choice. However, whatever the case, stick to white only. If you feel that this color is too dull or boring, then try to paint one of the corners or walls of the room in a different color. Go alternative- when you visit the Fayetteville NC furniture stores, focus on some of the alternative furniture materials like rattan, cane, wicker and more. If you are following the island coastal designs, then you can even chose tiki furniture for your house. Bamboo is also a great choice for many people. Therefore, look for such furniture materials and find the items of your choice. You would be finding materials made of hardwood as well. However, we suggest that you stick to teak in this case. In general, a good combination of softwood and alternative furniture material would be enough to make sure that you are getting the best look for your house. Hundreds of furniture items made from this material are available in the Fayetteville NC furniture stores. You can go and check out the furniture there. Use bright fruit punch colors- as you have decorated your house mostly in white color, it would be great if you incorporate different bright colors in small things like lamp shades, pillows, cushions and more. These are available at very reasonable prices at the Fayetteville NC furniture stores and the colors are also quite attractive. Use driftwood and sea shells- your beach cottage decoration would come to life when you use driftwood and sea shells in your house. They are great for decoration and they are very cheap as well. Buy standalone furniture- the mismatched nautical theme is usually an important part of the beach house décor. You can buy different types and styles of furniture that share the same color, hue, pattern or something else. Make sure that there is a singular theme that connects the furniture items or it would look bad. You can buy some great standalone furniture items from the Fayetteville NC furniture stores.